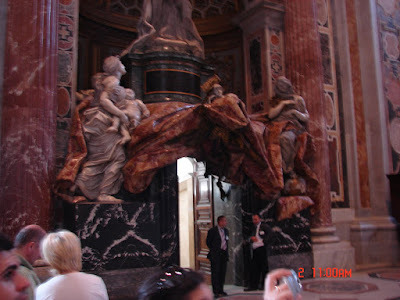 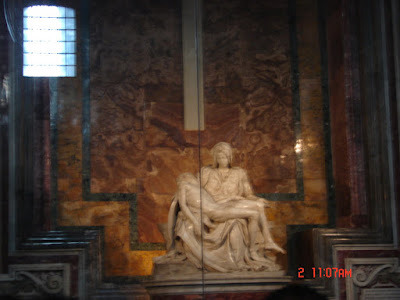 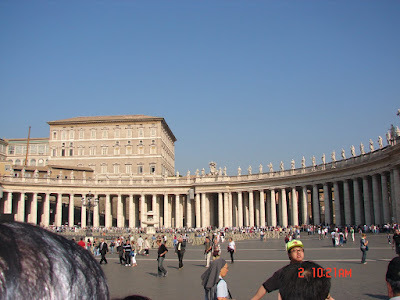 I went to the Vatican City, the world's smallest independent state. 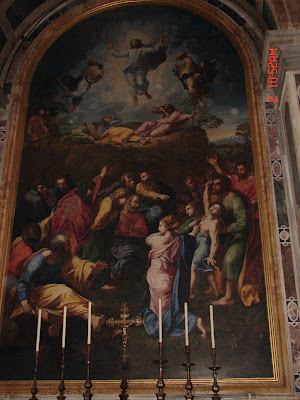 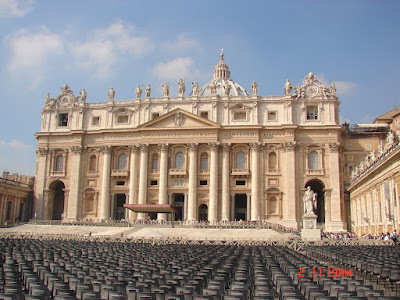 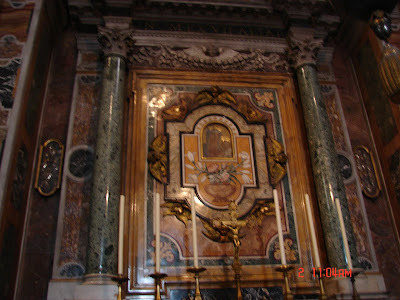 It is accessed through St. Peter's Square, surrounded by an elliptical colonade with some 140 saints on top. 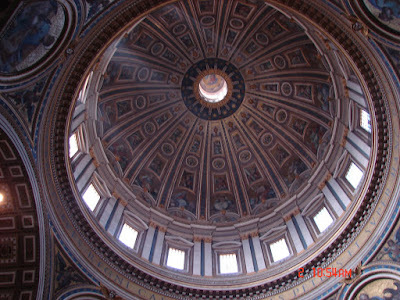 Straight ahead is St. Peter's Basilica, the center of world Catholicism. 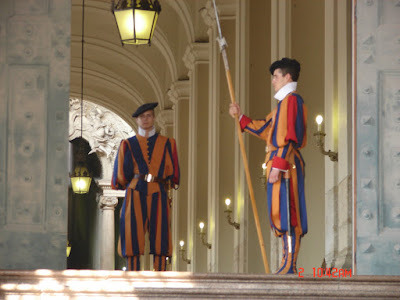 The Swiss Guard protect the Vatican.